First - something very off topic, but it has to be confessed cuz I can't hold it in any longer... sometimes I call Fox Joey and Joey Fox. I know people mess up their kid's names (my Malm can't call me Paige for the life of her - I should just be Allie #2! ), but is it normal to switch kid's/pet's names too? I hope so... It doesn't help that Joey looks like a fox. Anyways. I'll try and do better. This morning I drove down to Long Beach to meet up with Rachel to get the demo product for the CRAFT Retreat class I'm teaching in November. I got there early so Fox and I ventured into Party City where they're decked to the nines with all things Halloween Halloween Halloween! Fox was in his element. 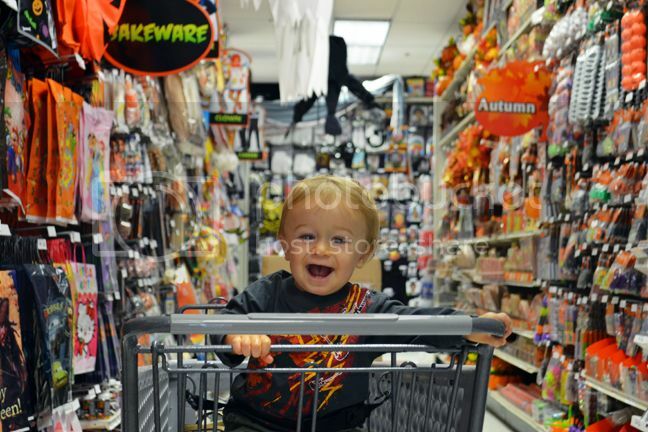 He's going to love Halloween just as much as me, I can already tell. 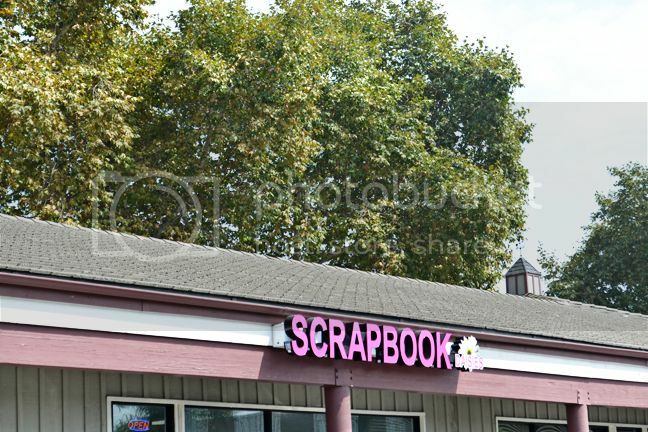 Then we drove to Scrapbook Daisies! 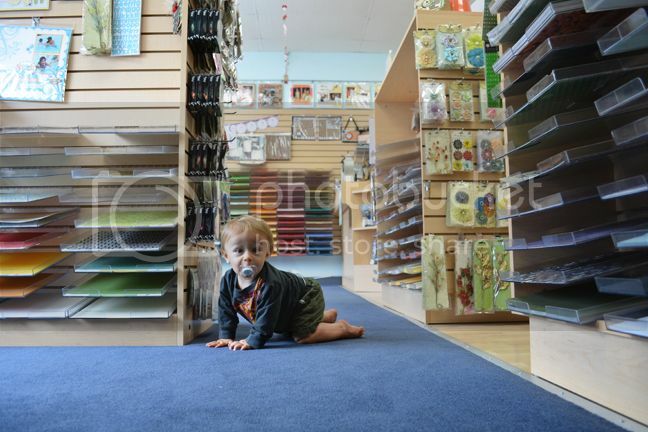 Oh my goodness, I can't even tell you how fun it was to be in an actual "LSS" (local scrapbook store)! It's been YEARS! It seems like 99% of little scrapbook stores have gone out of business so this was such a treat. 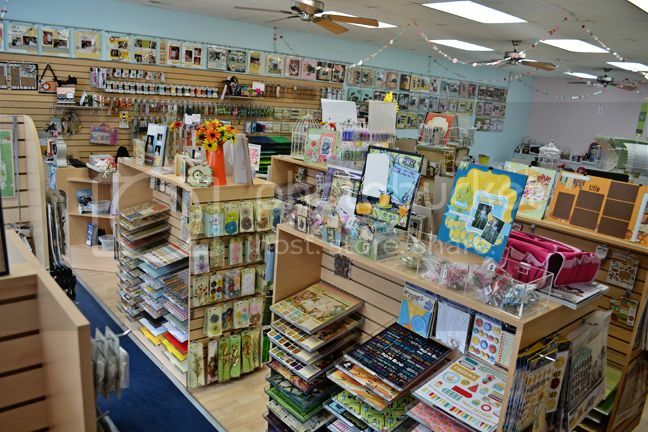 It brought me back to my first job at Yesterday's Scrapbooking and Stuff which is how I got into scrapbooking in the first place a decade ago now. I love the smell and site of fresh patterned paper. I love seeing all the latest and greatest, brand new product displayed all pretty. 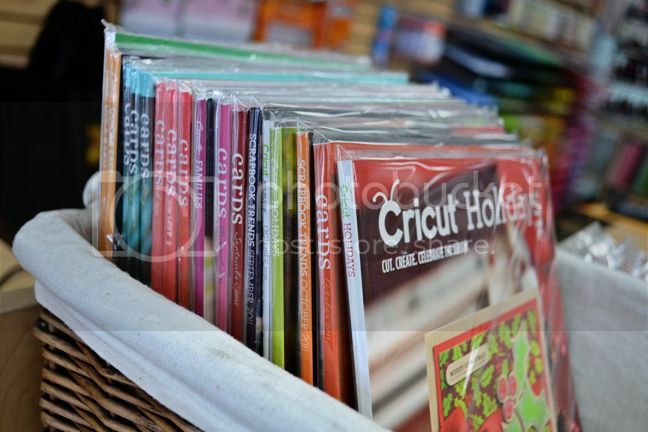 And I love seeing the magazines I work for up at the front counter :) It never gets old to see your name in print! I let Fox roam free. To close - guess what I finished??? I can't wait to deliver them all soon! How fun is this POST! Oh my! I love the photo of Fox looking so happy and giddy! And I LOVE LSS. 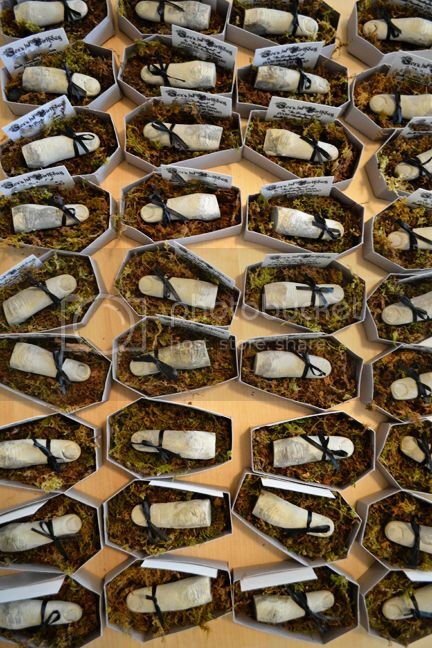 Your Halloween project looks AMAZING. I bet the receivers will be speechless and thrilled! Yes, the boy is adorable and the fingers are gross...but I love them! Wish I were getting one! What fun pics - that little guy is adorable! And those finger invites are just amazing! Fox definetly looks in his element! And as for calling Fox and Joey each other's name, considering how they are always together I would say this is perfectly normal...lol It's great to see how great Joey is with Fox too, every boy needs an awesome dog! Loving the fingers, and can't wait to see the decorations! Those fingers are just to cool! 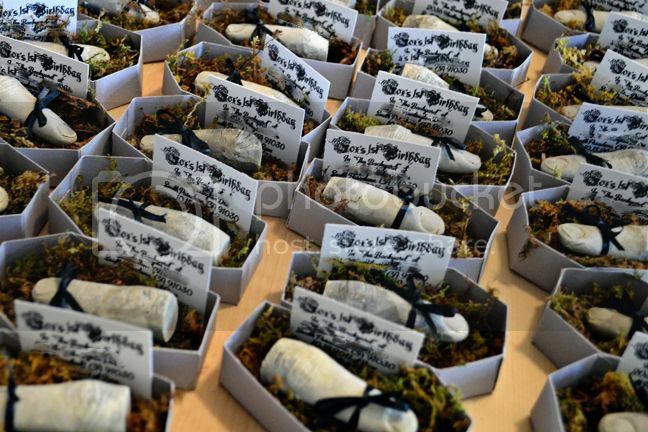 People are just going to go nuts over those one of a kind invites! 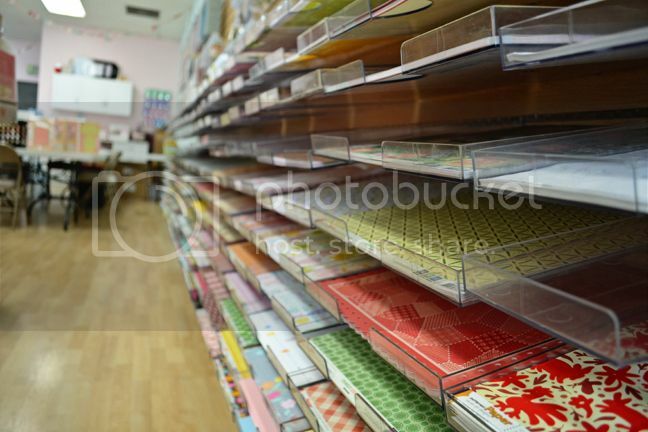 The pix of the scrapbook store are neat... there is something so special about walking into a store and seeing all those wonderful products AND smelling the paper... I totally agree! Hey PaiAllie! 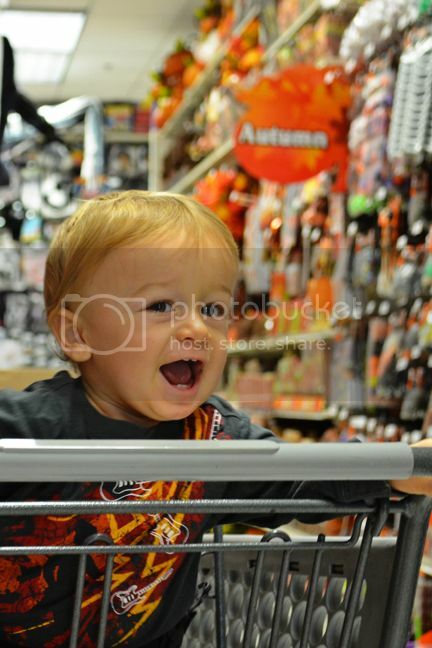 I LOVE LOVE LOVE the pics of Fox in the Halloween store!! 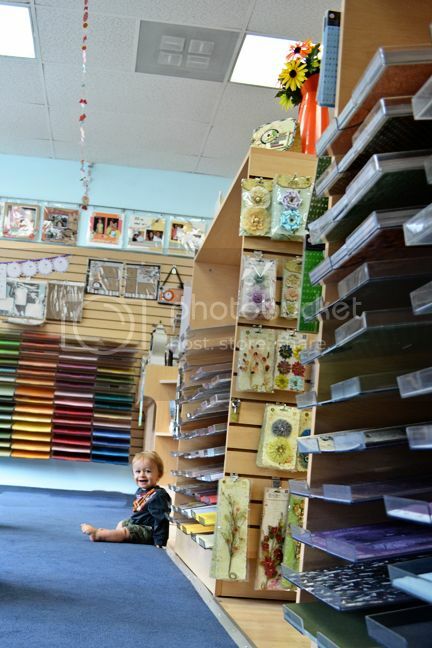 We have a cute little local scrapbooking store in Snohomish :) I love it! Loved you post! I seriously think everyone's parents mess up their kids names. I was the oldest of 3 and we always had at least 3 dogs, so my poor Dad would run through all the animal and kids names trying to get the right one!! The fingers are creepy, but I love them!! 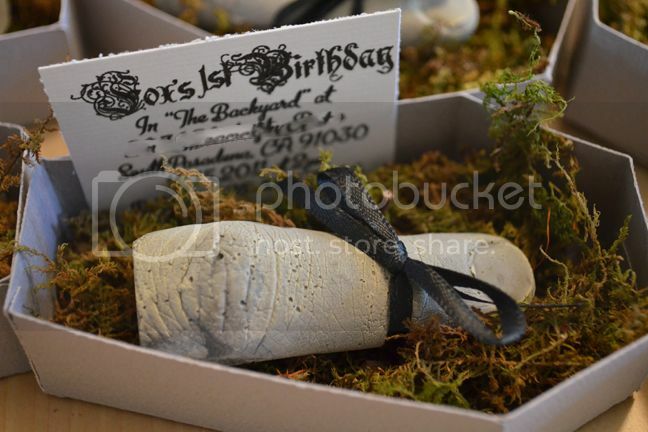 Fox's birthday is going to be the coolest ever! !